Clear, Prominent ridges are a must for proper pattern matching purposes. Ink Fingerprints : FBI FD-258 fingerprint cards. $25 per card. This service is provided to our applicants who need to obtain a clearance report and/or a national criminal history background check from FBI. We will manually take a set of your fingerprints and place them on the standard 8" x 8" original FBI fingerprint card (FD-258). Please take care to not fold, staple or mutilate the fingerprint card. Your rolling impressions will be taken first, followed by your flat impressions. Rolling impression means we will roll your ten fingers individually, sequentially from your right thumb, index, middle, ring and little finger followed by your left fingers in the same sequence. In order to obtain all ridge detail, your fingers will be rolled from one side of the fingernail to the other. Flat impression means that we will print all your fingers, including your thumbs, without rolling. The flat impressions are used to verify the finger sequence and accuracy of the rolled impressions. Ink Fingerprints are most commonly needed for purposes such as Canadian immigration, Australian Immigration, South Africa immigration. We charge $25 for each fingerprint card. Every card captures fingerprint images for all 10 fingers in the right, and left hands, separate thumbprints, and left / right four fingers. 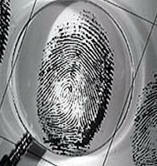 For your convenience, we also offer mobile ink fingerprint services at a location of your choice. We can be at your facility at your desired time and place that also includes but not limited to weekday evenings, nights, and weekends. Mobile Service will incur some travel, and convenience fee on top of usual $25 fee per fingerprint card. During the process of confirming the appointment, our office will quote you total fee. We have the ability to accommodate large groups or organizations by deploying our technicians to capture ink fingerprints at any location. This service is specifically provided for companies, schools or churches that desire to be fingerprinted in groups. Please notify us few days ahead of time. Suggestion: Based on our experience, it is always safe to send two fingerprint cards to the FBI for background check purposes. Chances of rejection is quite low. By sending only one card, even if there is slight fingerprint quality issues, FBI will reject and ask for a second card.